The answer’s always more power, isn’t it? That is reputedly the case with the upcoming facelifted version of the Range Rover Sport SVR, which is due to arrive in 2017. Our sources say that the new version of the SVR will pack the upgraded 5.0-litre V8 found in the recently launched F-type SVR. That means power will climb from 543bhp to 567bhp, while torque will rise from 502lb ft to 516lb ft. So it’ll be faster, then? Performance will still likely be on a par with the current model, so expect a 0-62mph time of around 4.7sec and a top speed in excess of 160mph. That’s still good going, mind, particularly when you consider that it’s a 2335kg luxury SUV we’re talking about. There’s no doubt the facelifted SVR will also feature a host of light updates elsewhere; in the spy shots you can see a restyled front bumper with different air intakes. It’s likely that other changes will include the addition of JLR’s latest media system, as well as some new interior trims. It’s too early for any formal word on pricing but – given that the current model costs £95,900 – it’s reasonable to assume that the 2017 Range Rover Sport SVR will set you back at least £96k. 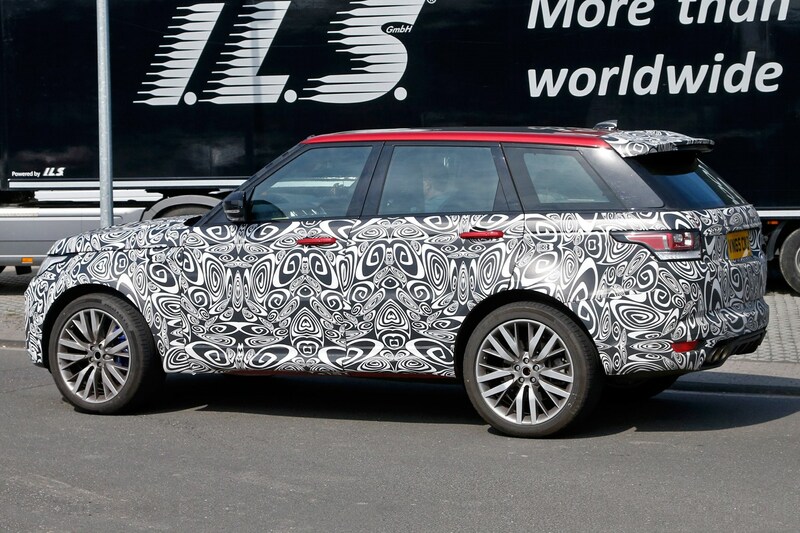 Recent spy shots have already revealed that Land Rover’s working on a lightly updated version of the Range Rover, so it makes sense that updates are coming down the line for the high-performance version.